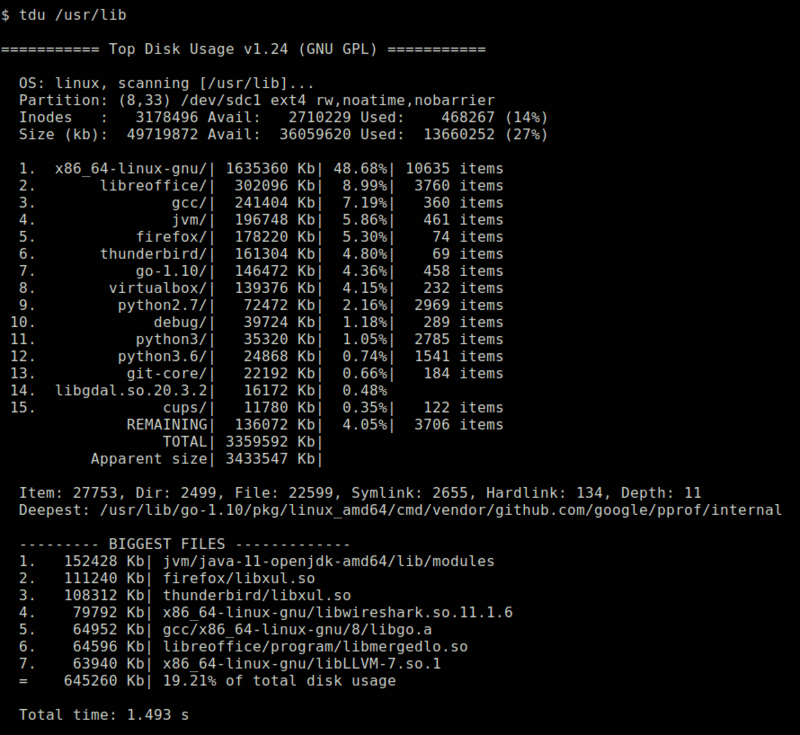 This command-line tool estimates the disk space occupied by all files in a given path. It displays a sorted list of the biggest items. The estimation method is similar to the du -skx command from GNU Coreutils package. Clone the git repository or download the source archive. If you use FreeBSD or macOS, please test the code and submit patches for supporting those operating systems. License: GNU General Public Licence version 2.